The little guy has quite an enviable collection of footwear. with some boots thrown in too. were the first shoes he ever wore. because they went with so many of his clothes. but kept his toes toasty. and were definitely the favourites if Daddy did the dressing. and he liked stroking them when he wore them. which is why they look so worn and grubby and well loved. but I'm sure will be just as cute as all the others on his little baby feet. and we get to go and buy him proper shoes. I have a feeling that we'll be buying a few more pairs of Converse this year. once he is into the proper ones with rubber soles. from Our Footprints On The World. We just LOVED the pictures she used. so I loved these straight away. Here's the badge to show off to your friends. ready to share over at Mummy Daddy and Me Makes Three next week. Gorgeous! We love Converse for Mummy and Baby! Hey there! 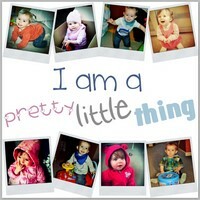 I'm a pal of Kelly-Marie's, & saw your linky on her blog. The second I hopped on over, I knew I had to follow ya! Your blog is AWESOME! You have the cutest little boy, OMGosh! Happy new follower for Happy Jax! 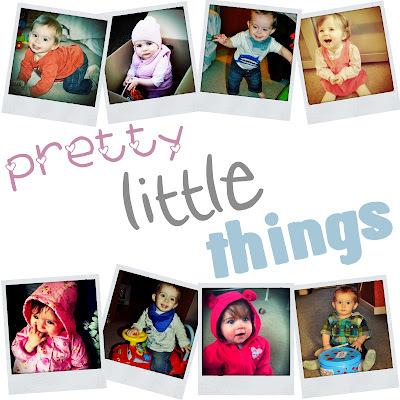 Hope to link up to Pretty Little Things soon! I really loved what you said. Nike Zoom Rookie LWP is also a good recommendation.Very much advocated.